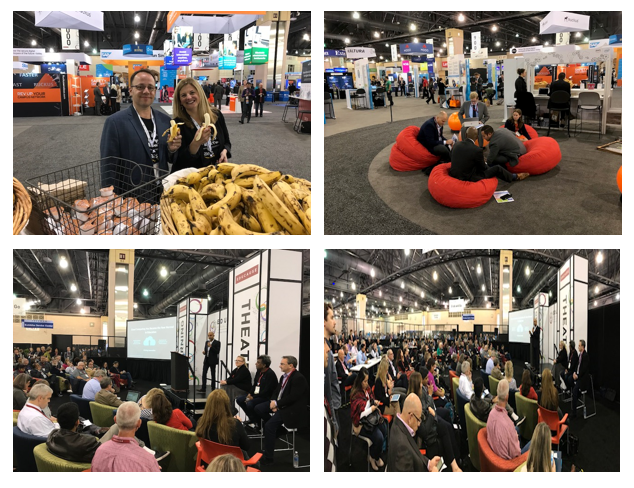 At EDUCAUSE 2017, we shared how educational organizations can get started with compute and storage solutions, bring Alexa voice technology to your campus, and build a next-generation, cloud-ready workforce with AWS Educate. Throughout the many activities and sessions during the week, we focused our support on EdTechs and startups as they look to build innovative teaching and learning solutions on AWS. A major goal of most EdTech startups is to grow and scale to students globally. The AWS Cloud matches the technology, flexibility, and agility needed to experiment with the scale to reliably serve students and manage district or university operations. Cloud computing allows for EdTech entrepreneurs to build solutions that are secure, smart, scalable, and cost effective. 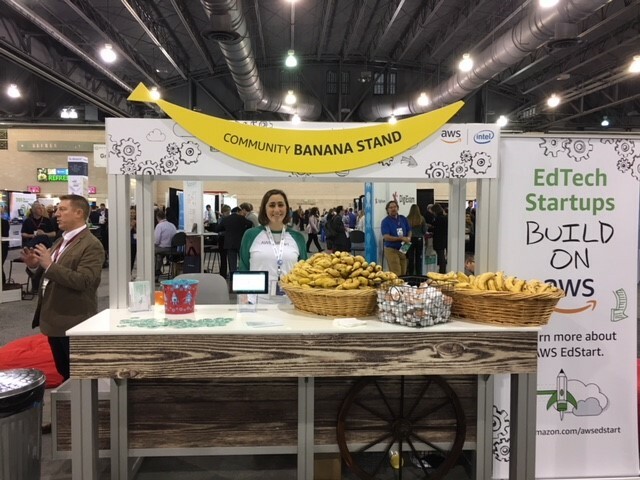 As attendees walked through the Start Up Alley, they came across the AWS community banana stand for a quick snack as they learned about the featured companies. All companies exhibiting in Start Up Alley were invited to apply for AWS EdStart, our startup accelerator that enables EdTech startups to move faster by providing AWS Promotional Credits, community engagement, office hours, customized trainings, and specialized support. See the full list of participating AWS EdStart companies here. Ten EdTechs from Start Up Alley had the opportunity to pitch their business ideas to a panel of judges at the Under the Ed Radar Pitch Competition. The winner received $25K in AWS Promotional Credits, the runner-up won $15K in credits, and all contestants went home with $2K in credits to continue to build on AWS. Congratulations to the winner, Cytilife, and the runner-up, SpyCloud! Cytilife builds “smart campuses” using Internet of Things and Machine Learning technologies to transform the way students live, learn and thrive everyday. SpyCloud helps businesses of all sizes prevent data breaches and account takeover attacks by alerting when employee or company assets have been compromised. They accomplish this through an early-warning breach detection service powered by a team of intelligence analysts. In addition to supporting the EdTech and startup community at EDUCAUSE, we announced that Amazon AppStream 2.0 reduced its monthly Microsoft RDS SAL user fee 89% from $4.19/user/month to $0.44/user/month for Qualified Education Users. Learn more here.